Manchester has been crowned the European City of Science, and it’s the first UK city to ever be awarded this accolade. Laura, Marketing Coordinator for INTO Manchester, discovers why this city has so many connections to science. Science and innovation is happening, and has been for centuries. I soon learned that when I moved here – it’s not all football and Coronation Street. 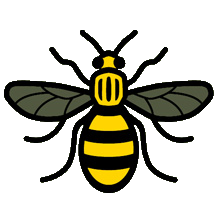 The worker bee motif came into play during the Industrial Revolution, which is an integral part of Manchester’s history. The bee represents the people’s hard work during this era and Manchester being a hive of activity in the 19th century. Did you know: The bee motif can be spotted all around the city – such as on waste bins, lamp posts and buildings. I recently spoke to Comfort, a new student in Manchester. I was definitely inspired and motivated by the fantastic science links and history of Manchester whilst doing my research for a foundation programme in the UK. I hope to study Biochemistry next year, so it was a very important consideration for me. Popular British physicist, Brian Cox OBE, is an Advanced Fellow in the School of Physics and Astronomy. He currently lectures at The University of Manchester. Our civilisation is based on science; Manchester was the first scientific city… the city where the industrial world began. Did you know: He’s also a presenter of science programmes and author/co-author of over 950 scientific publications. The National Graphene Institute houses £13m of state-of-the-art equipment and enables scientists to work alongside each other. Graphene City® is a vision by The University of Manchester. 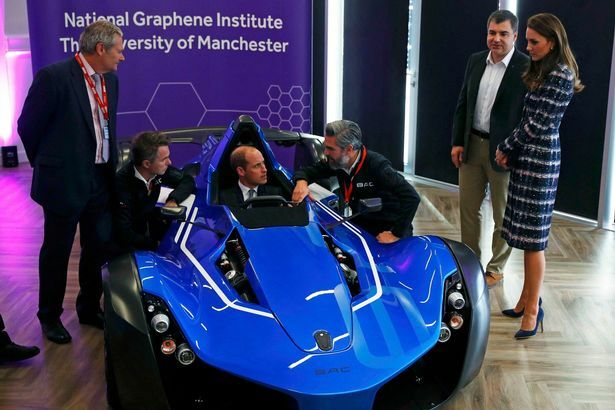 It aims to create a thriving knowledge-based economy around Manchester’s ground-breaking discovery – Graphene. There is also the £60m Graphene Engineering Innovation Centre, a facility for international research and technology, set to open in 2018. Did you know: the graphene material is just one atom thick, one million times thinner than a human hair and 200 times stronger than steel! 2016 has seen science come to the streets of this city – giving people of all ages, backgrounds and nationalities an opportunity to engage with science. Manchester’s chosen theme is ‘Science as Revolution’, aiming to encourage debate and exploration of how science and technology transform our daily lives. It’s a nod to Manchester’s proud scientific heritage and its reputation as a cradle of revolutions of all kinds: industrial, suffrage, computing and communism – to mention a few. Don’t forget: the Manchester Science Festival happens every year – celebrating innovation and, of course, science. It always promises to be a huge event, and is not to be missed. Surgeons in Manchester performed the first bionic eye implant in 2015. Manchester certainly hosts a variety of interesting technologies and innovation. Feeling inspired? 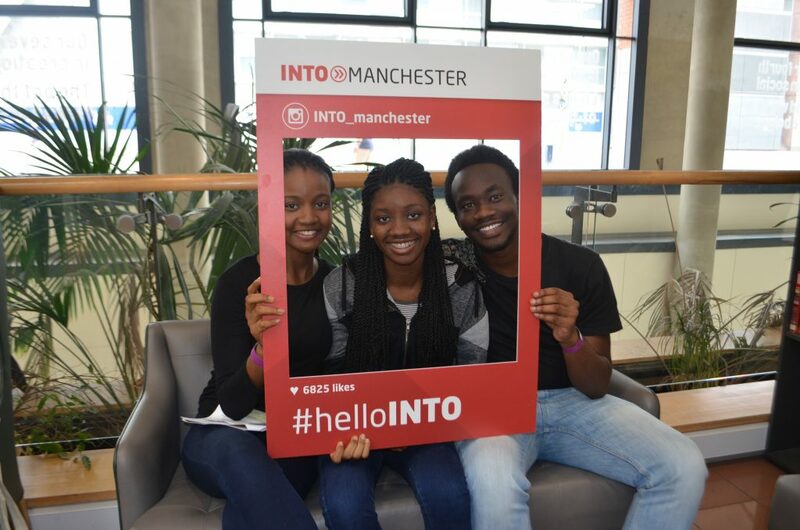 See why international students love studying in the UK or visit our website to discover more about studying aboard in Manchester. Don’t forget, we’re on Facebook, Twitter, Instagram and YouTube – connect with us and share your study abroad experiences. Hey, I'm Laura, I'm the Marketing Coordinator at INTO Manchester and my job is extremely varied! 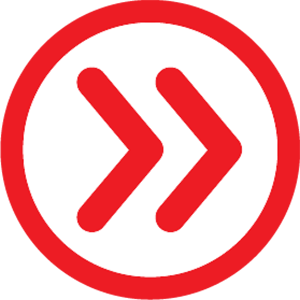 You'll find me updating all of our centre Marketing materials, as well as doing a bit of social media, blogging, and touring around Manchester with prospective students and visitors. I'm an avid traveller - my last few trips have included Nepal, Indonesia, Guatemala and Tanzania. I love baking and attempting to cook my favourite dishes from around the world.